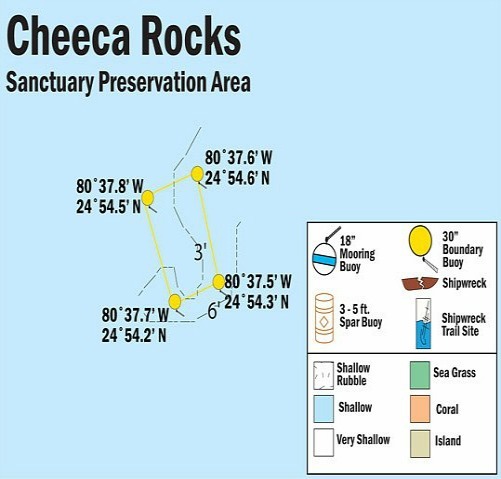 Cheeca Rocks is the perfect Florida Keys destination to learn how to snorkel, or to finish off a day diving. 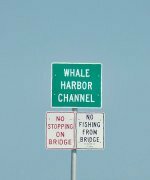 If you're traveling with children, this is perhaps one of the best snorkel and dive sites to consider when planning your Florida Keys vacation. Also called Cheeca Gardens, this patch reef is very popular with families who want to spend a day Florida Keys snorkeling. The combination of marine life and proximity to shore are huge drawing cards, especially when children are included on the dive trip. In fact this small SPA protected patch reef is close to the Lodge of the same name. Many of those snorkeling Cheeca Gardens are guests who are staying at this popular, luxury Florida Keys resort. Even though the patch reef is small in area, there are a number of interesting features to enjoy and a good presentation of colorful tropical fish, vibrant coral and the beautiful Queen Conch. Contrary to it's name however, there are no rocks here, but you'll find brain coral large enough to be considered a small boulder. When Florida Keys snorkeling or diving this reef, you'll also discover a good selection of other stony coral as well as colorful gorgonian coral adorning the site. Close to popular Cheeca Lodge, guests and others are drawn to this shallow patch reef. It's beauty and proximity to shore make it the one of the best Florida Keys snorkeling spots to spend time with the whole family. It's also one of the better places to introduce the wonders of the sea to younger children. Not only will they learn important water skills, they'll develop an appreciation of marine life. These lessons will help them understand the ongoing importance of protecting the valuable and beautiful marine creatures they see around them.